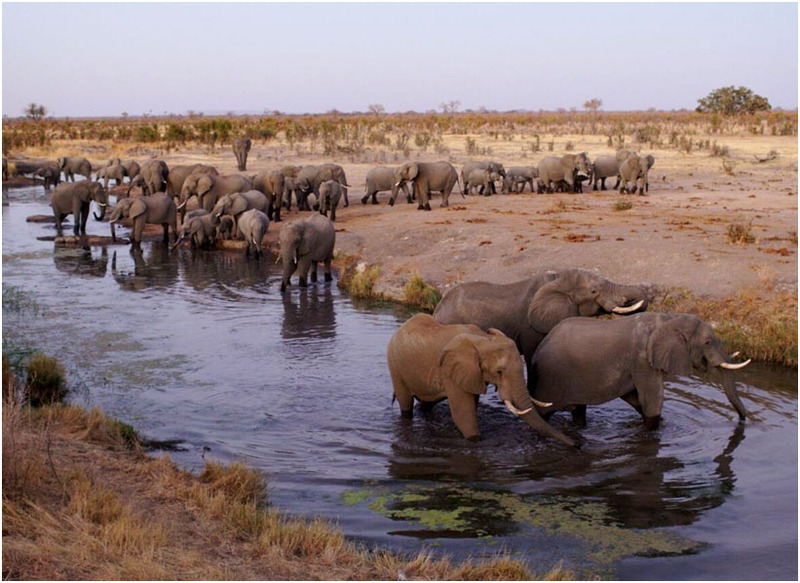 Hwange National Park does not have many natural sources of surface water and hence to keep the animal population alive water has to be pumped from manmade boreholes. For many years this has relied on diesel pumps which are expensive to run and break down often. 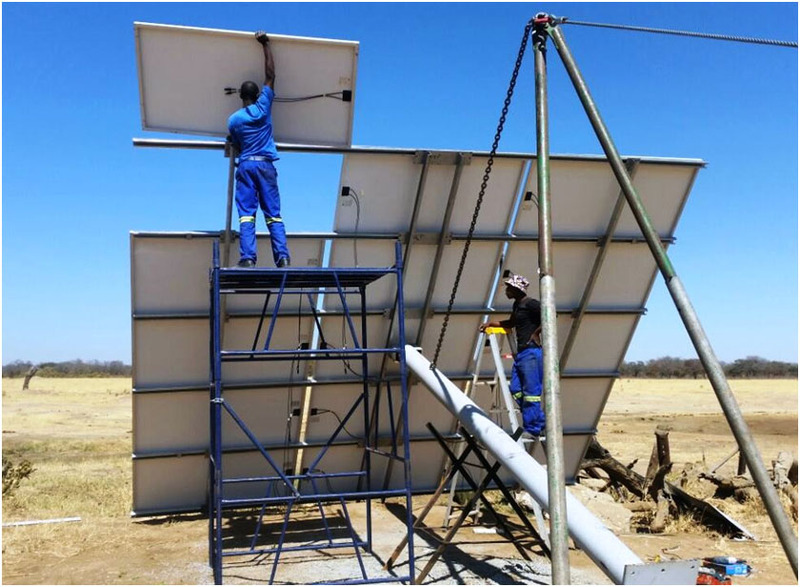 To negate this a consortium of trusts have given Forster Irrigation the job of converting the pumps onto solar powered units. 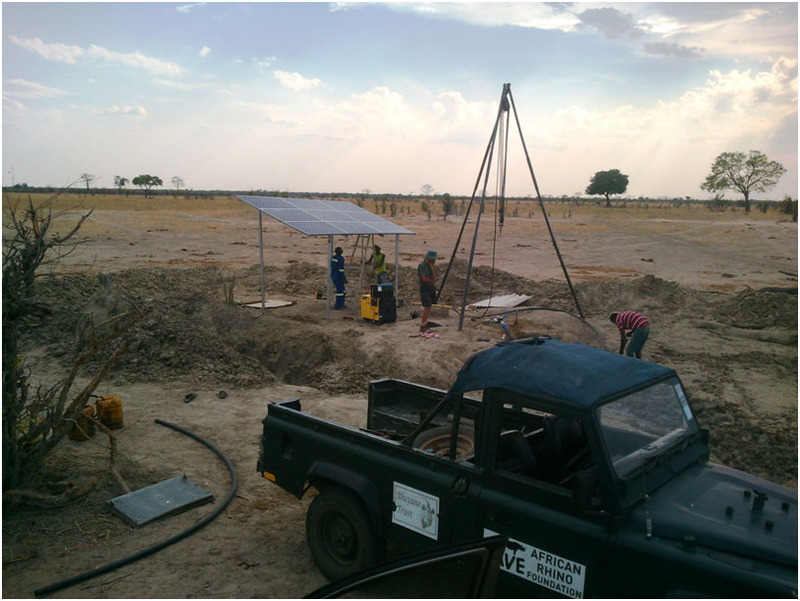 This is an ongoing project but so far over 30 units have been installed with an average daily flow of 45 000litres a day. It is estimated that by 2017 there will be no need for diesel engines in the park, at one stage weekly consumption of diesel was in excess of 5 000litres! It is estimated that there are between 20 000 – 30 000 elephants in the park. These pumps have been installed with the Hybrid function so that at night if needed a generator can be run although this is only to be used if there has been downtime.